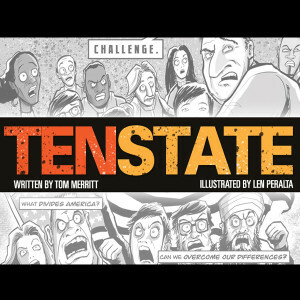 On this episode of Comics Coast To Coast we are Live at Dragon Con 2013 with writer Tom Merritt of TWiT and artist Len Peralta to talk about their new collaborative action comic TenState. 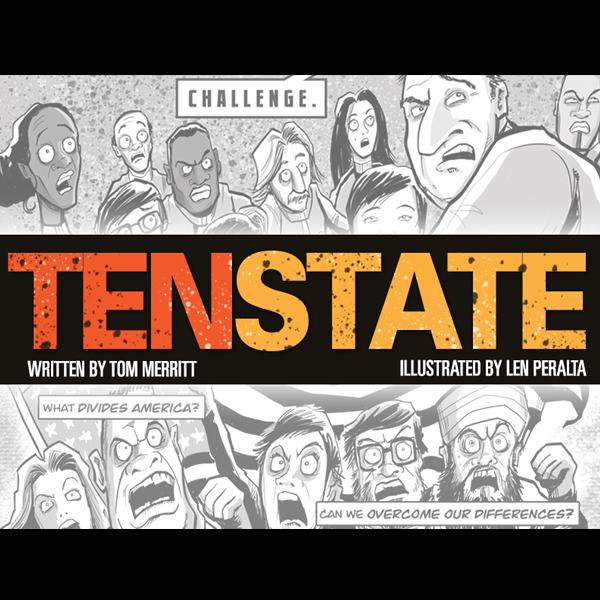 (Gentled lifted from the TenState KickStarter Page) TenState is a comic book series about a fictional TV reality show called “The Ten”that goes terribly wrong. It will be told in ten separate 10 page black and white installments. We are asking for money to fund the first three issues of the series. 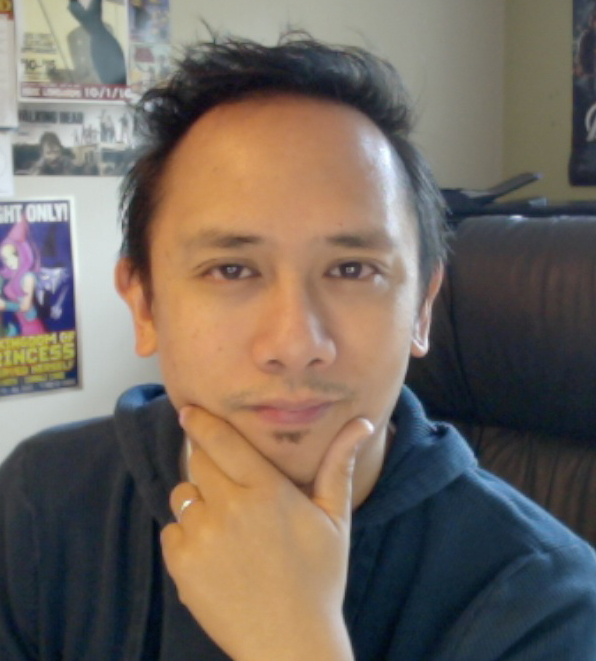 If we make the initial goal, we will add stretch goals for five issues and finally, the whole 10 issue season. Tom and I have sketched out a basic story arc for season one, but we have fleshed this out to at least four seasons. We are treating this comic as an episodic television series in the vein of Lost, The X-Files and The Walking Dead, but with the bite-sized presentation of a webseries.A LITTLE BACKSTORY:After the November election, I was sitting in my car, listening to the news reports and looking at the landscape of the country and realizing just how divided we are. The chasm between us seems to widen overtime and I found it all rather unsettling. I started thinking about what it would be like if our differences were really put to the test, if we were all forced to work together and it was made mandatory to cooperate. I thought that perhaps there was a story in there somewhere, but I’m not nearly adept as a writer to figure it out or to make it happen.So, that’s about as far as it got for me.That’s when I called my friend Tom Merritt. Tom and I have been wanting to work on a project with one another for awhile. But we never really got one going because of our schedules.I called Tom on a Sunday afternoon with the basic premise I had in my head and within an hour, Tom had a basic structure laid out. What if these diverse elements of our current society were forced to work together in a reality show format? What if these people were furthermore fighting some other unseen, all-knowing forces? And what if they were utterly alone?That’s how TenState was born. Tom anchors the daily tech news show Tech news Today on the TWiT network as well as hosting the show Frame Rate and special live news coverage and other events.Tom also co-hosts Sword and Laser, a science fiction and fantasy podcast, YouTube show and book club with Veronica Belmont. He also hosts several other independent podcasts. All his shows are listed on the subscription page.